Is there anything prettier than a picture that includes BOTH avocadoes and cilantro??? Yum! Our plans this weekend don’t include the Super Bowl, but they do include a molcajete – my favorite bowl for guacamole-making! I’m happy to see Meyer lemons again, too. I think I’ll make some lemon squares for Grandma – and maybe some more marmalade, too. The sight of Meyer lemons alongside rosemary inspires me, also, though to what end I’m not yet sure. A pasta dish, perhaps, with a lemon-rosemary sauce? And capers? We’ll see. Those collard greens and this cold weather point to polenta for dinner some night this week, and the spinach is so tender and flavorful that it’ll make excellent salads. I’ll hard-boil some eggs today so I’ll have them on-hand to make spinach salad into a quick, hearty lunch. 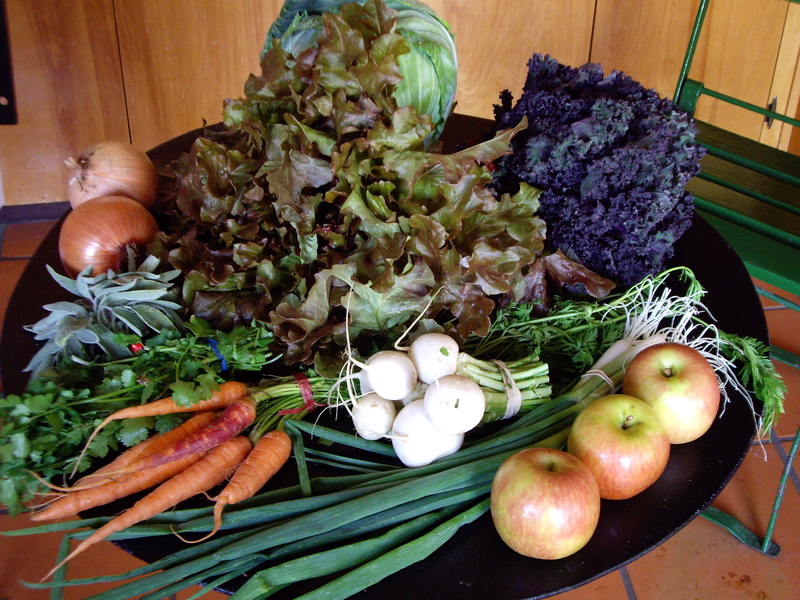 What is this week’s Local Box inspiring you to make? Last night’s grey, damp weather called for comfort food. And a Local Box cabbage had been calling from my crisper drawer for weeks. (It was still good, save for a few wilted outer leaves I sent to the compost pile.) 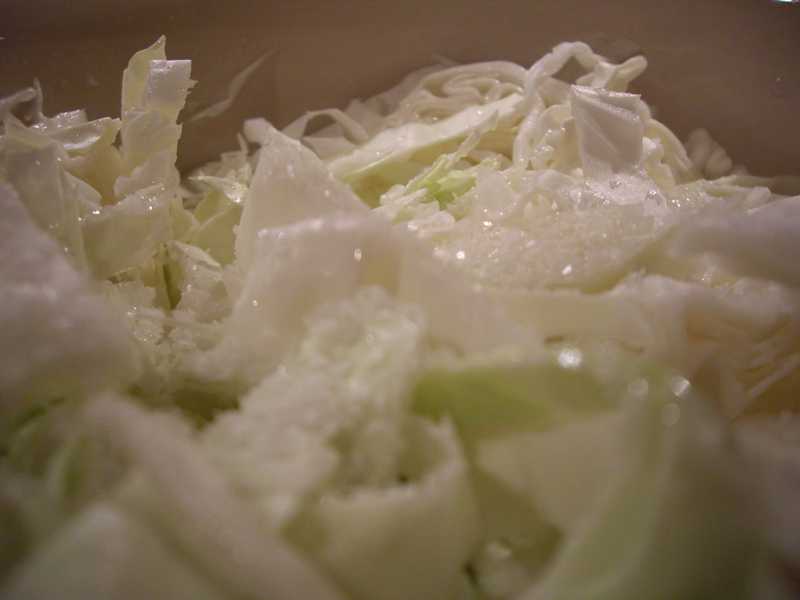 I met both calls with a recipe I clipped from the Austin American-Statesman back in October for cabbage noodles. This turned out to be a quick and easy, one-dish meal that was every bit as comforting as I’d hoped. We topped ours with regular ol’ cottage cheese, as opposed to the dry-curd version mentioned in the article. But the results were great. How are you eating from your Local Box on these cool, rainy days? 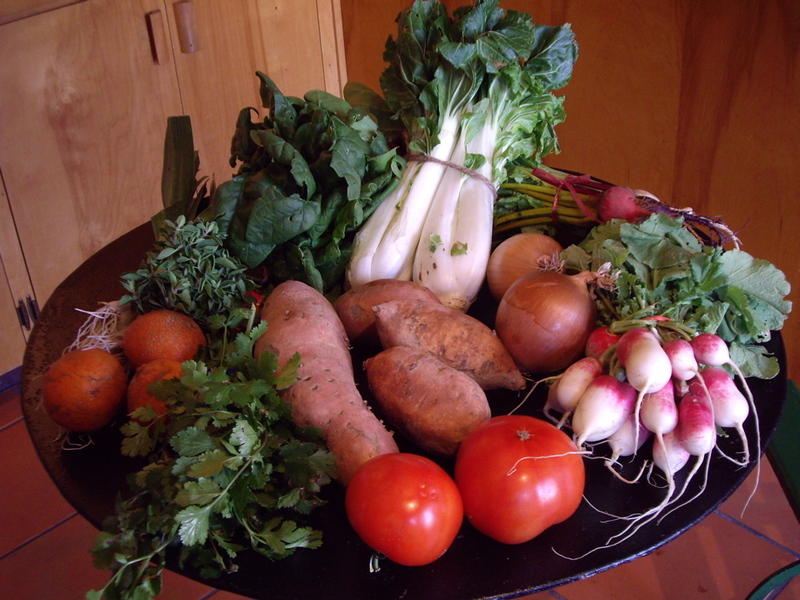 Some very tasty veggies came in this week’s Local Box. I can’t *wait* to eat those radishes. And I tasted the spinach even before I took the picture. (It’s super tender and flavorful!) I’m planning to roast the beets and serve them alongside some lentils for dinner tomorrow. I ate a tangerine with breakfast this morning – and expect the others will meet a similar fate. I’m stumped on the sweet potatoes, though. I’ve been deep-frying them into chips a lot lately, but I’m up for a change. Any ideas? How about on the bok choy? It’d be lovely in a stir-fry, but it’s so fresh and young, inspiring me to try something new. What do you have planned for your Local Box this week? With all the beautiful heads of cabbage that have been showing up in the Local Box lately, I decided it was high time to try my hand at sauerkraut. The dish seems to polarize folks, but I’m solidly in the love-it camp. I got to know it when I lived in the Alsace region of France, where choucroute (that’s French for sauerkraut) is a regional specialty. 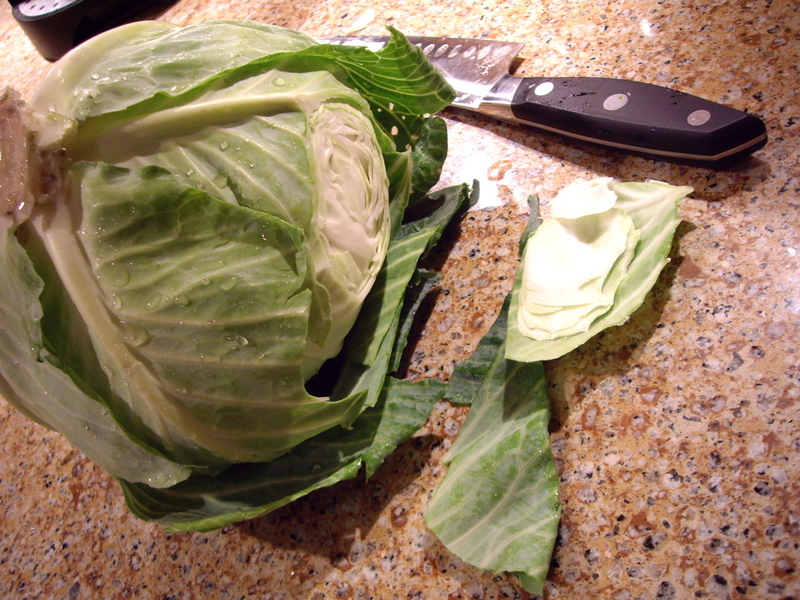 And cabbage is very high in vitamin C – and purportedly gets even more health-promoting attributes when you turn it into ‘kraut. But where to begin? 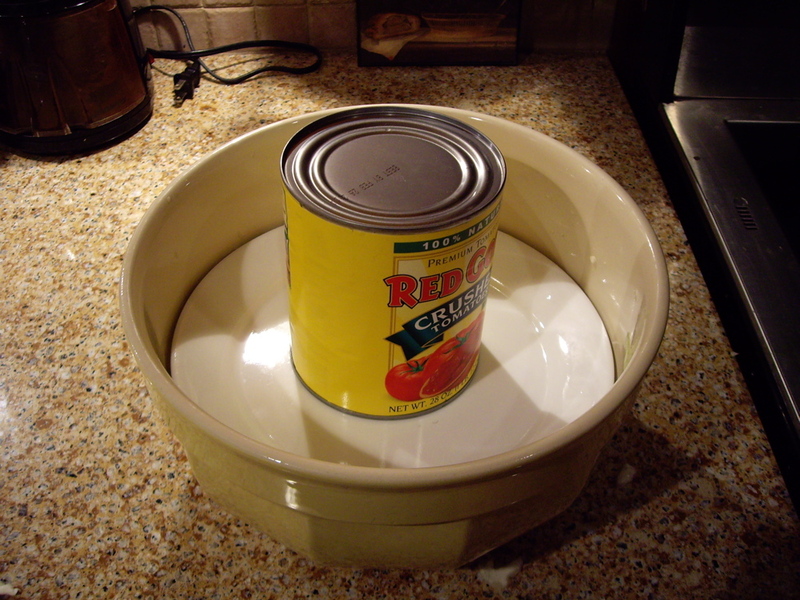 My usual go-to recipe sources advised buying it in cans. And the directions I found in internet searches intimidated me with plastic buckets and long fermentation periods and mold you scrape off the surface with a spoon. 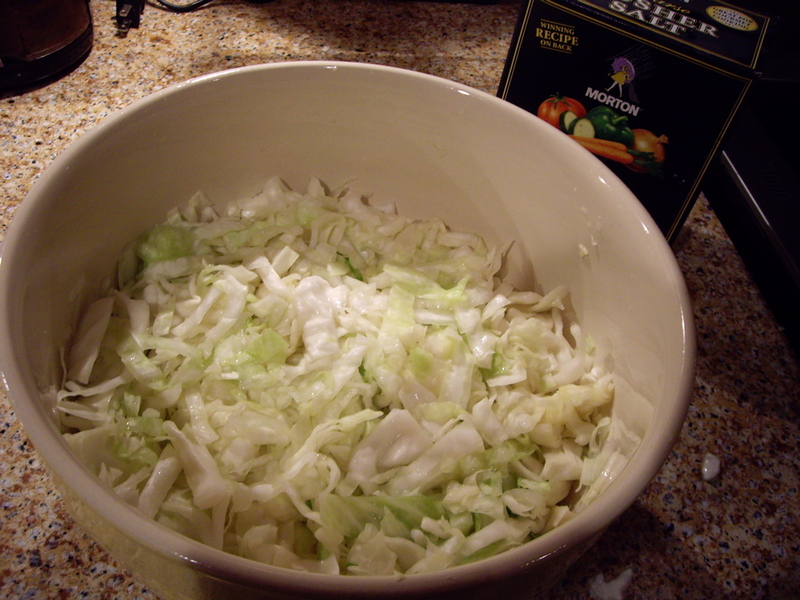 The instructions I found from Mother Earth News seemed least-scary, so I decided to give it a go, using only one head of cabbage in my largest mixing bowl. I’m on day 3, now, and so far all seems to be going as planned. In the meantime, I’ve put a query out to friends and family for tried-and-true ‘kraut experiences. So far, I’ve gathered a recipe from an Alsatian cookbook, and one from a friend’s grandmother that’s completely different — it calls for stove-top cooking and vinegar. So if at first I don’t succeed, I’ll still have options. Have you ever made sauerkraut? Did your grandmother leave you her recipe? Please share! And stay tuned for my progress. With greens to make side dishes or entrées in their own right and herbs and onions to spice things up, this week’s Local Box has it all. I sautéed some snipped sage in butter, then added capers and mixed with pasta for a quick lunch today. That luxuriant head of lettuce will be a great side to a winter omelet for a quick and easy dinner, and my hubby’s already talking about roasting the Russian kale. 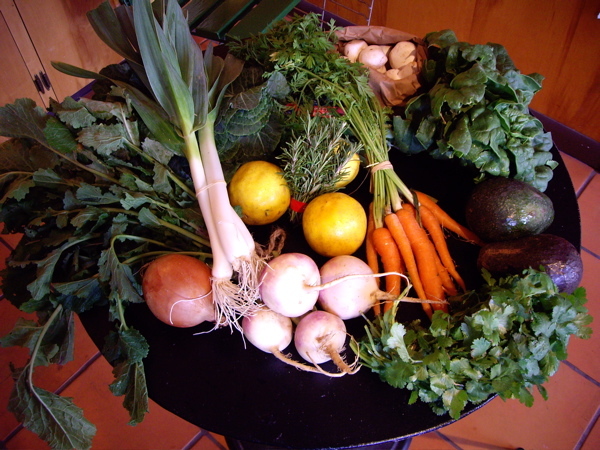 How will you eat out of your Local Box this week?